In today’s business world, the questions you ask IT suppliers of all types are essentially similar. 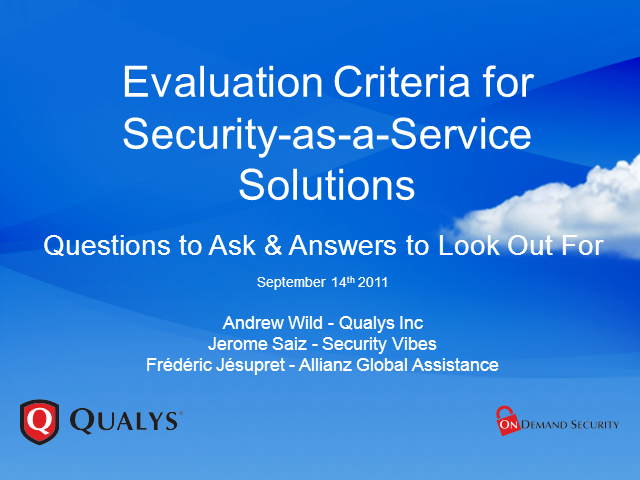 What changes with Security-as-a-Service are the answers you get, and more importantly, the answers you need. In this session, we will look at the main evaluation areas, how to interpret responses, and the emphasis and weighting factors. Andrew Wild, CSO of Qualys Inc.